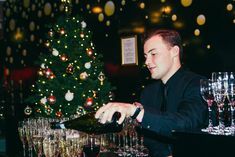 Merlin Events, an established well respected name within the London corporate events industry has turned its hand to public ticketed events! 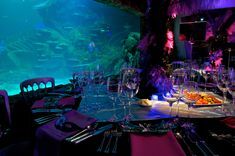 The successful SEA LIFE After Dark and the ever popular London Dungeon LATES over the past few years have spurred interest to launch after hours events at Madame Tussauds and Shrek’s Adventure. It is important when building these products that the right people and partners are involved. If you are thinking of putting together a ticketed event at your venue, or you’re looking to do something out of the ordinary, then Eventbrite is the perfect ticketing platform for you. Merlin Events discussed how to create a ticketed event with Tom from Eventbrite UK. Tom Maya, Content & Events Associate at Eventbrite UK, has been in his current job for 9 months, where he creates and edits articles for event professionals, as well as for attendees. Previous to this role he was freelancing with different start-ups, including the event discovery app Frugl. He has organized events for different companies, launched his own street art auction, and had his own pop-up cinema company! 1. I have an event concept – what do I do next? ‘Planning! – This is key to the future success of your whole event. If you can plan every element and create some Plan Bs and Plan Cs for any eventuality, your concept is even more likely to actually become an event. Marketing – Don’t skimp on it. When I was setting up my pop-up cinema company, my business partner and I were naïve in thinking it would be easy to get the word out about what we were doing – it wasn’t. You need to make sure you utilise all channels – whether that be social channels, contacts via email, friends or family – just making sure you are telling anyone and everyone about the event means you are more likely to see the right amount of attendees actually turn up on the day. Useful tip – If you’re running a free event the drop-out rate is normally 50%, so if you see 200 people sign-up for your event, it’s more likely to be 100 actually attend. If you want to guarantee more numbers, by charging just a nominal fee per ticket you can significantly increase the attendance rate. This amount can be given back by offering a free drink etc. at your event. ‘As mentioned, being able to manage the list of your attendees on one platform makes life a lot easier and saves a lot of time. Better still with Eventbrite, you can add questions at sign-up for your attendees to answer. You can ask them anything, so if you screen films, you can ask them what film they want to see next; if you serve drinks, you can ask them what their favourite drink is and so on. 3. What are the benefits of time slotting my event? 4. How can I communicate any changes to the event/advertise up-sell opportunities? ‘You’ll easily be able to communicate any changes to your event via the attendee list you’ll have, via the inbuilt email system we have. 5. What should I avoid doing when using Eventbrite or any other ticketing agent? ‘You should avoid setting up an event page expecting that it alone will be enough for your event to sell tickets. While Eventbrite can absolutely help drive ticket sales, it shouldn’t constitute your whole marketing plan. Promoting your event is no easy task, just think about how many events are out there. You need to work with your ticketing page by driving traffic directly to it. The fewer amount of steps there are from knowing about the event, to being able to buy a ticket, the better chance people will actually buy a ticket for your event. We’ve all gone through a 6-7 step process when buying a ticket, and it can be really off putting, sometimes enough to stop someone going through the whole process. This is why you don’t have to create an account to buy a ticket with Eventbrite for example, to reduce the barriers to sale. We’re quite obsessed with making the checkout process as simple and frictionless as possible. 6. How should I manage the entry process at the event? ‘For big events, ticket scanners are a must; they stop long queues building up and also mean your attendees can have the ticket on their phone ready to be scanned. If this option doesn’t fit in your budget, make sure you utilise the entrance space, no one likes seeing a long queue, so why not create a queue system that’s confined to an area, making sure it doesn’t get in the way of anyone else that might be around. ‘If your event is free, then using Eventbrite is free too. You’ll have the same access to all the features people who run paid events have. As many people test out just how successful events could be for their business by creating free events, it makes sense that we would want you to test out Eventbrite for free and get use to all the features available. This way, when you are moving on to paid events, you’ll know how to use Eventbrite and will already be used to all that is available. If after reading this article you’re raring to get started on your own event, make sure you come to one of Merlin’s after hours’ events to get your research done! Eventbrite will then happily guide you through setting up your own event on their platform.